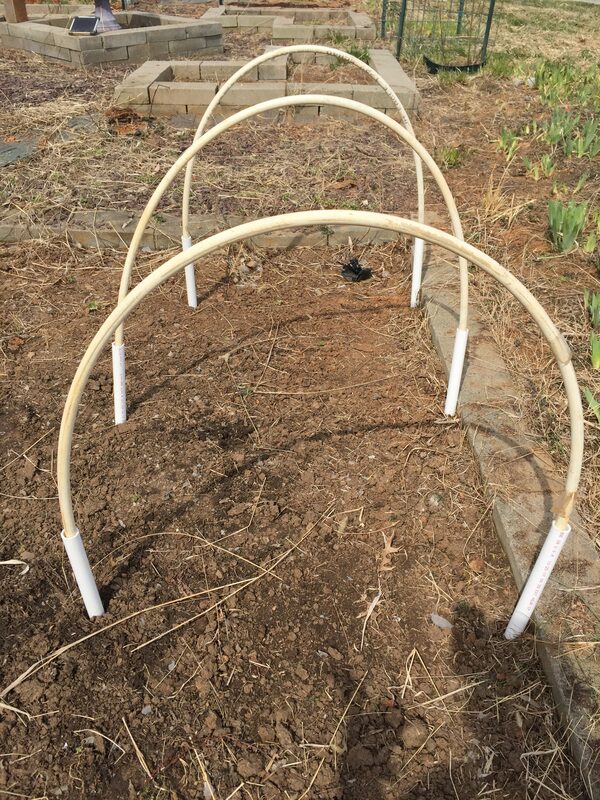 We came up with this simple way of making a small hoop house for lettuce a couple of years ago. It uses lengths of 3/4 inch PVC and 1 inch PVC to make the hoops. I’ll buy snap clips from Johnny’s to attach some shade cloth as it gets warmer.